The Dalai Lama receiving Fr Dr K M George at his Residence at Dharmashala in Himachal Pradesh on 30 March 2016. Fr George presented the books of late Metroplitan Paulos Mar Gregorios to the Dalai Lama who was a close friend of the Bishop. 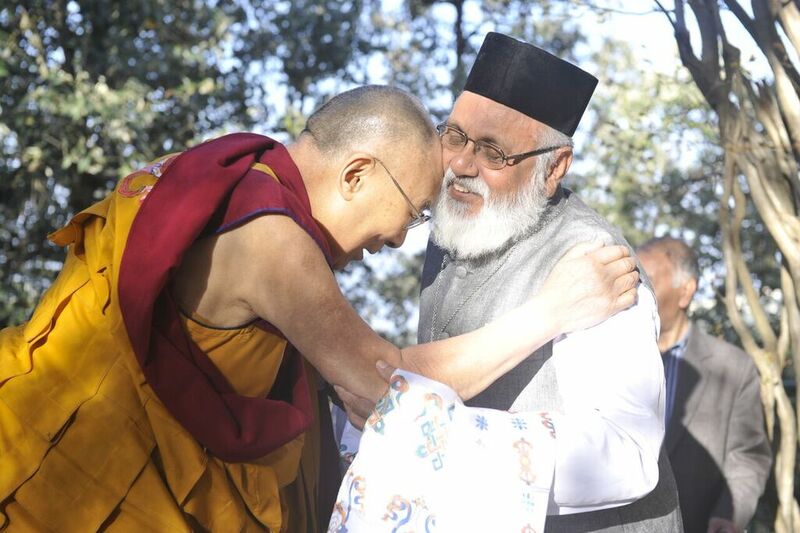 Dalai Lama had received the first international peace award in the name of Dr Paulos Mar Gregorios in Delhi. Fr George is currently the Chairperson of Dr Paulos Mar Gregorios Chair at the Mahatma Gandhi University, Kottayam, as well as the founding Director of Sopana Orthodox Academy.